The painter and architect Andrea Pozzo (1642-1709) can be considered as one of the most remarkable figures of the European Baroque. Well known for his illusionistic frescoes and for combining scenic apparatuses with religious architecture, Pozzo, a Jesuit himself, worked almost exclusively for the Society of Jesus. 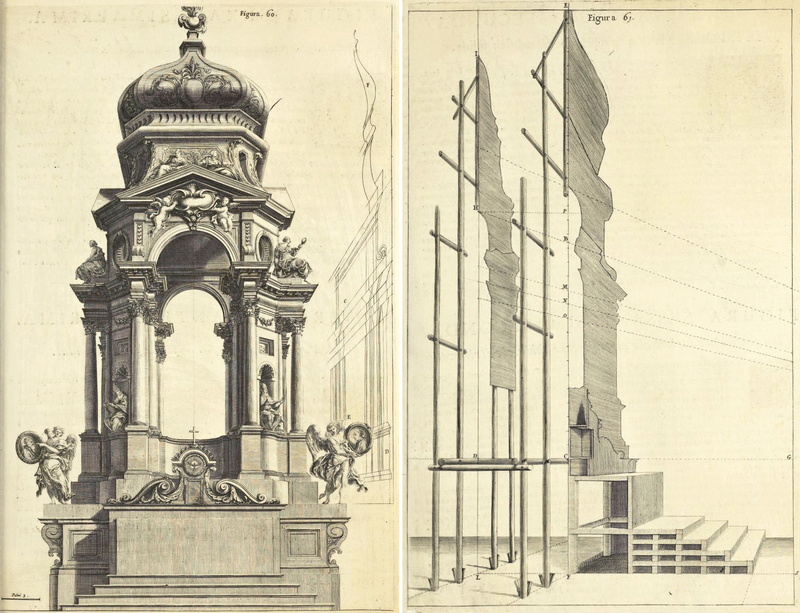 He started his career with the decoration of Jesuit churches in Bologna, Arezzo, Mondovì, and Turin, and in 1681 he moved to Rome where he became appreciated for his extraordinary ability in the use of perspective. Over the course of the next two decades, Pozzo decorated the camere di Sant’Ignazio, the ceiling of the church of Sant’Ignazio, and won the prestigious competition for the design of altar of St Ignatius in the Church of the Gesù. 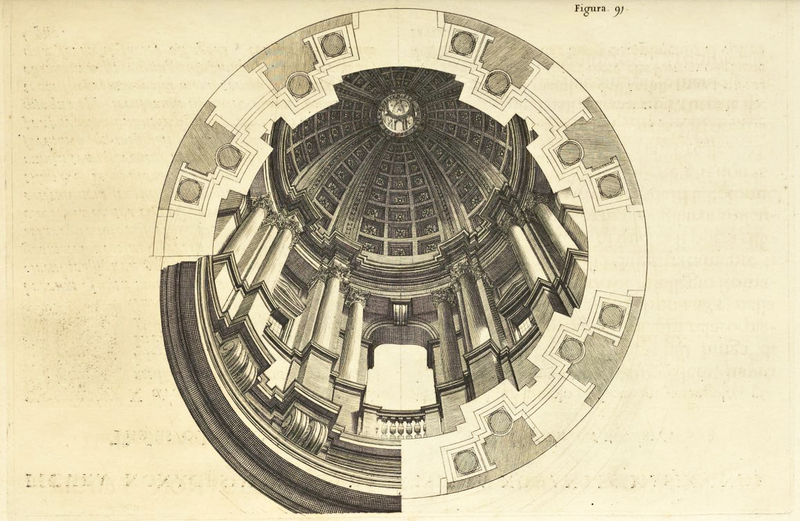 The decoration of the church of Sant’Ignazio was immediately considered as Pozzo’s masterpiece, and was celebrated for the painter’s ability both to create trompe-l’oeil effects on curved surfaces (finding a solution to the optical distortion of straight lines), and to represent an illusory dome on a flat surface. 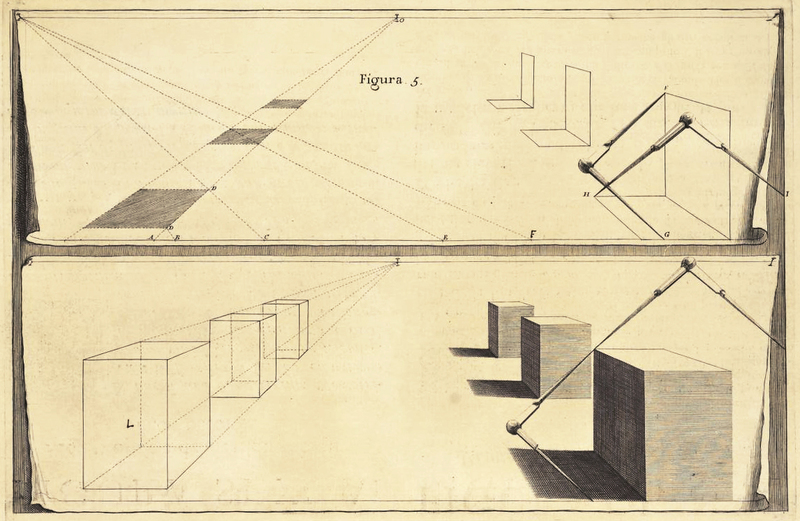 During this time, Pozzo recorded the sum total of his knowledge of painting in his treatise on perspective, titled Perspectiva Pictorum and Architectorum, which was published in Rome in two volumes (1693 and 1700, respectively). Organized as a sequence of images with accompanying commentaries, Pozzo’s treatise was conceived as a handbook whereby each figure represents an independent drawing exercise. Pozzo begins this work by providing basic instruction for drawing lines and points in perspective, he then explains how to represent solids from simple forms to more complex three-dimensional objects. 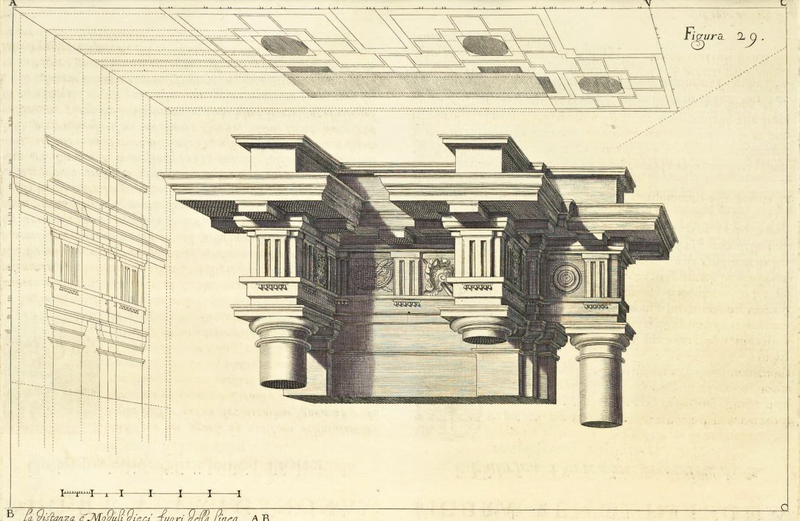 After a few exercises, the reader is expected to be able to render into perspective small architectural elements, such as pedestals, bases, column shafts, and capitals. Based on this preliminary encounter, presumably the reader is then ready to combine all of these elements together to create an entire quadratura, i.e., the “opening up” of a two-dimensional support – a wall or a ceiling – through architectural illusion. At this point, Pozzo introduces one more element: light. The following part of his treatise is specifically focused on the illusionistic representation of architecture. Here, his exercises are divided into several steps and figures in which the aim is to explain the entire drawing process in different stages – from plan and elevation through to perspective, which concludes with the application of light and shadows. 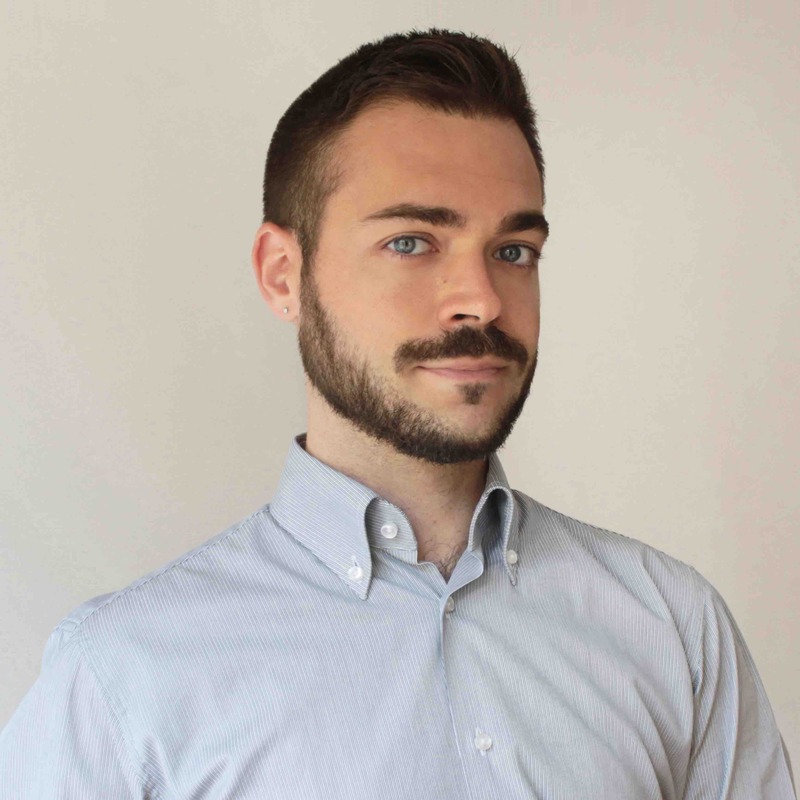 Alongside other contemporary artists in Rome, Pozzo explores all of the possible ways to control space, combining disciplines like geometry and scenography with different artistic techniques. Figures 60 and 61 from Pozzo’s Perspectiva provide an interesting example through an illusionistic three-dimensional representation of an altar, which is designed not to be painted on a wall, but to be painted on two separate free-standing surfaces made with canvas and wood, and cut into the shape of the altar. 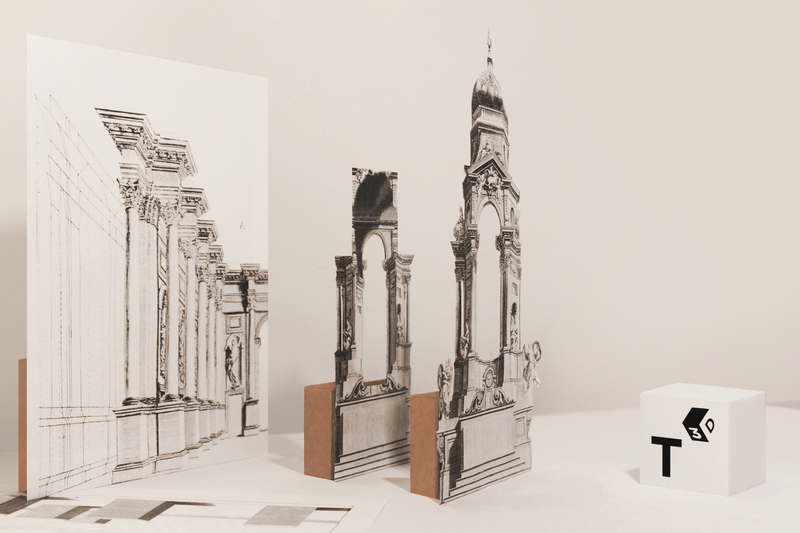 The two different surfaces correspond to two different perspective levels, a device borrowed from scenography. In this way, the perception of depth changes as the viewer moves around the object. Unfortunately, there are very few surviving examples of such altars, as they were mostly intended as ephemeral installations. 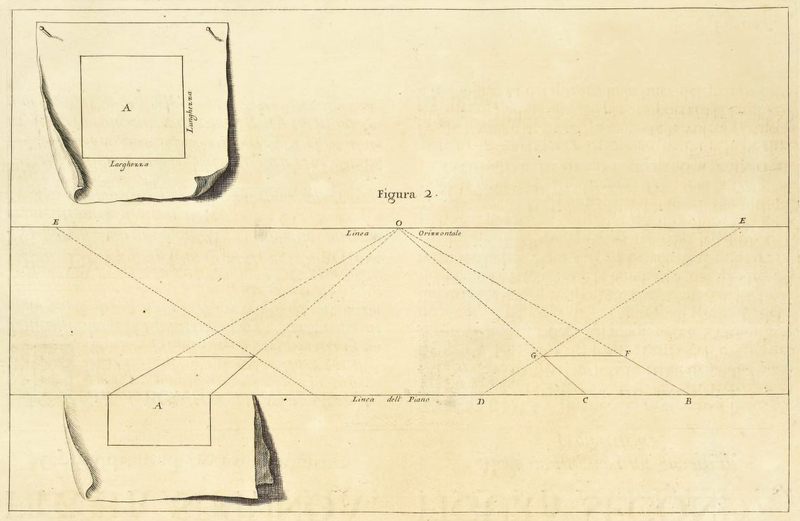 However, thanks to Pozzo’s treatise, it is still possible to understand their complex construction. 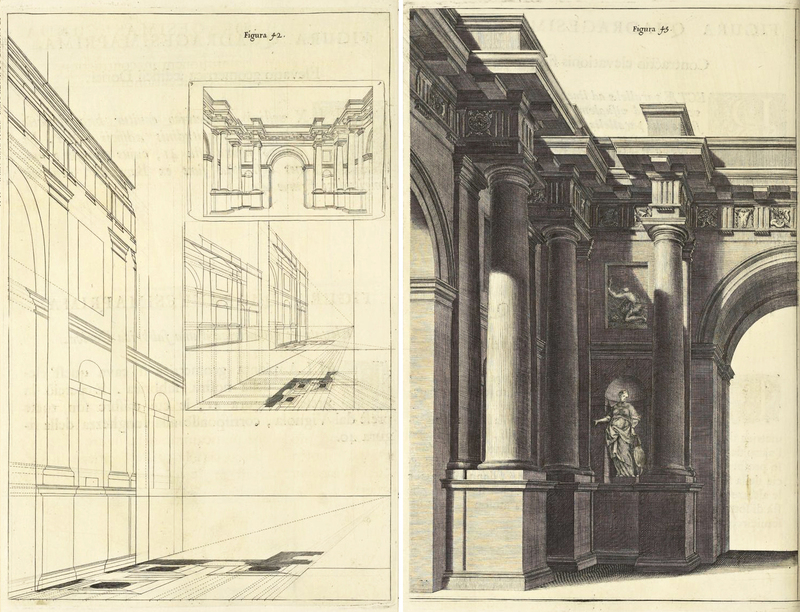 A few years after its publication, the Perspectiva Pictorum et Architectorum was translated into French, German, English, and Chinese, and contributed to the dissemination of Quadraturismo from Italy to the rest of Europe. 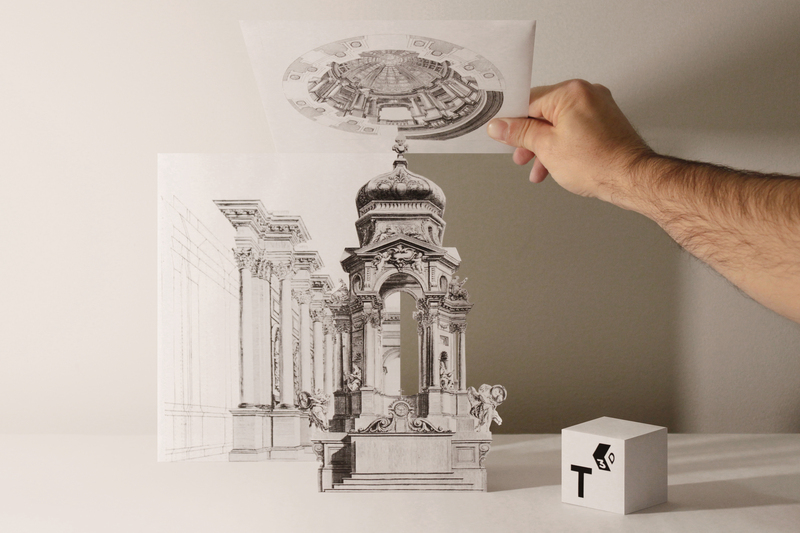 In order to better understand Pozzo’s illusionistic creations, we decided to reproduce some of his inventions in paper to a surprising result: thanks to the use of different layers, the three-dimensional effect can be experienced not only from a frontal viewpoint, but also from other angulations. Are you still sceptical? Take a look at the video! Fully digitised copy from The Getty Research Institute is available here.